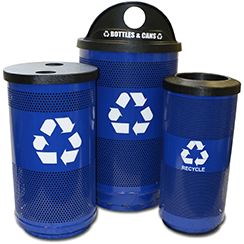 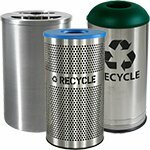 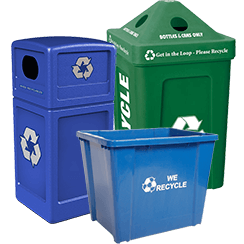 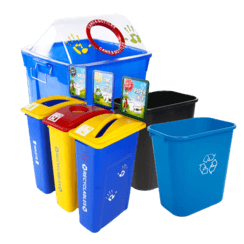 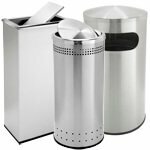 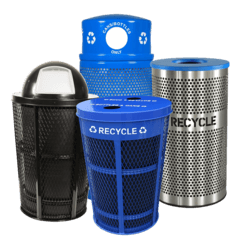 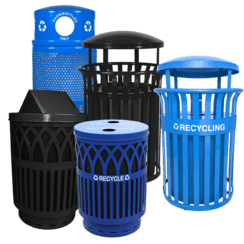 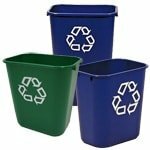 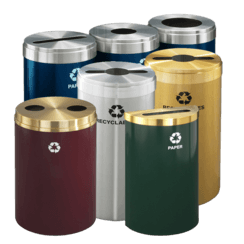 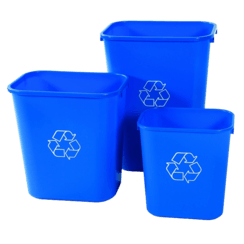 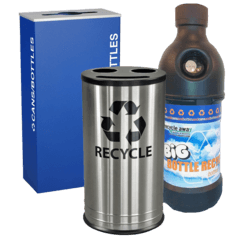 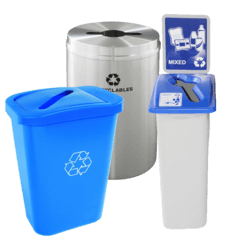 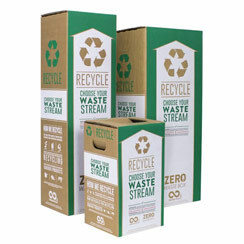 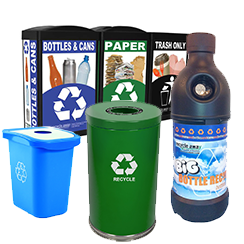 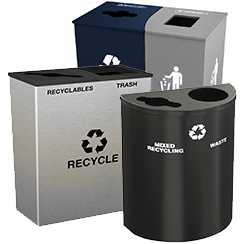 There are many incentives in food service to have a strong recycling program that utilizes effective recycling containers. 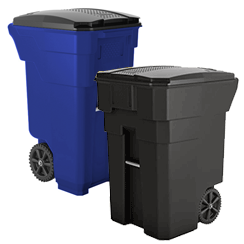 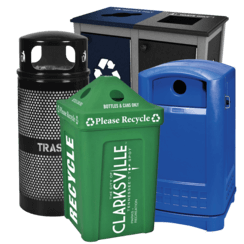 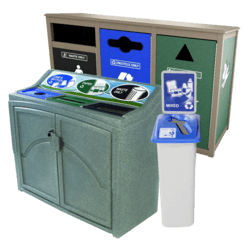 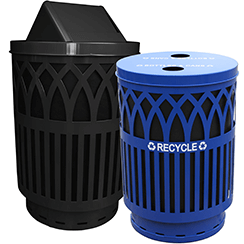 Recycle Away can help you put together a plan to build recycling stations that will reduce expenses related to trash pick-up and waste going to landfill. 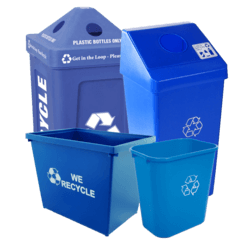 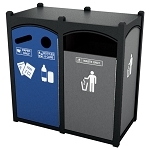 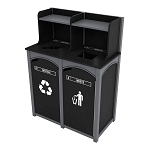 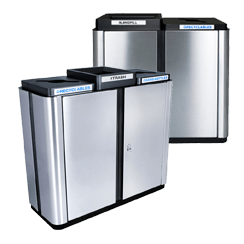 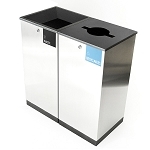 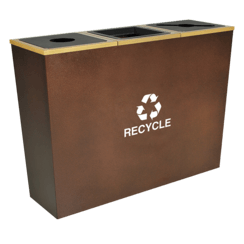 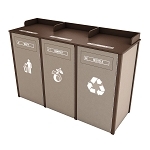 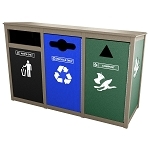 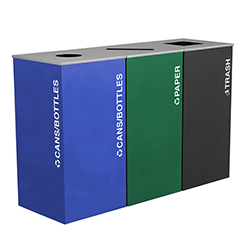 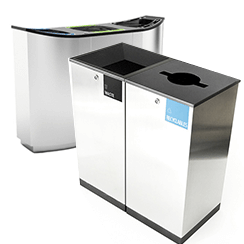 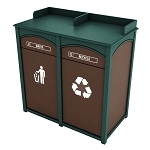 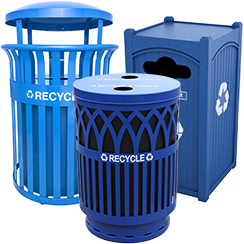 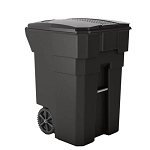 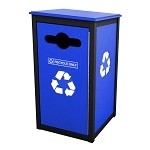 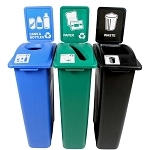 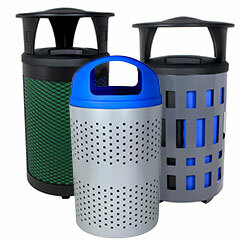 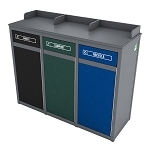 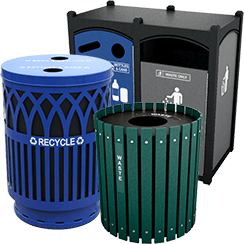 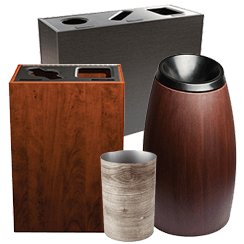 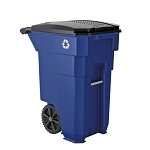 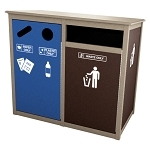 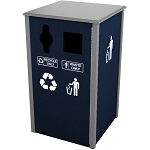 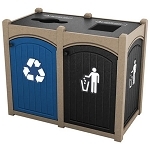 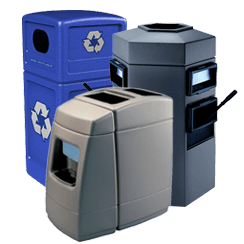 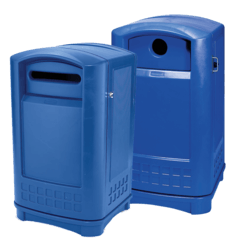 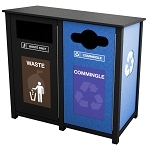 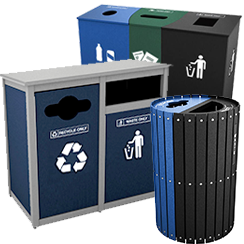 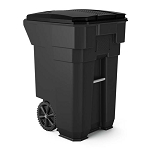 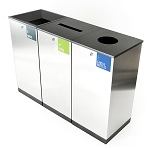 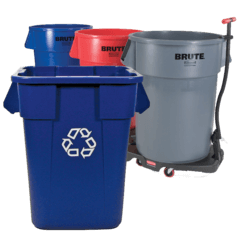 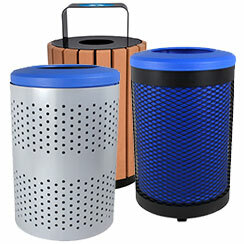 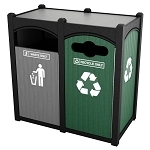 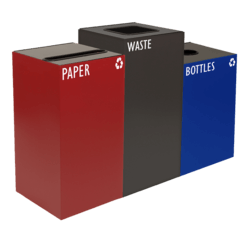 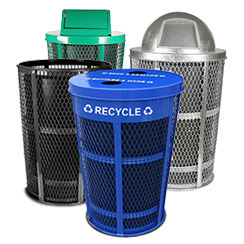 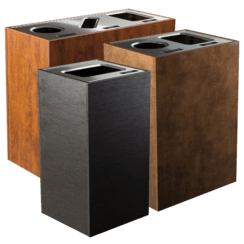 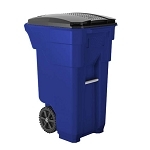 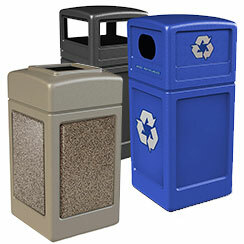 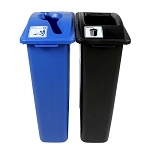 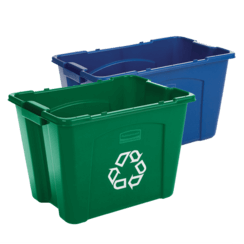 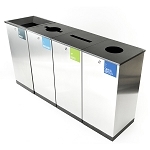 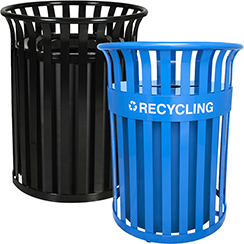 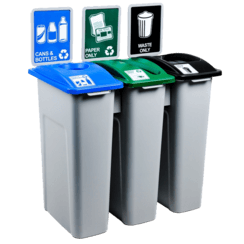 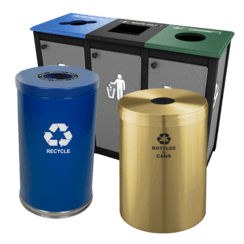 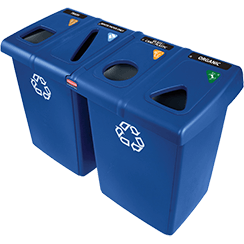 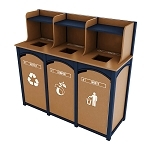 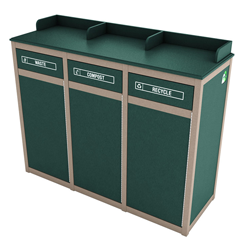 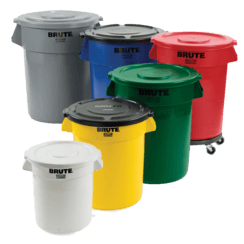 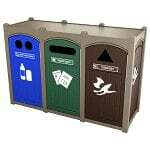 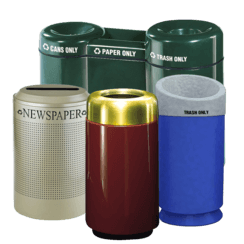 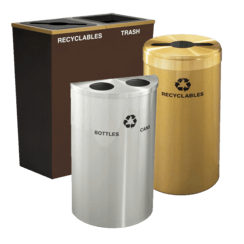 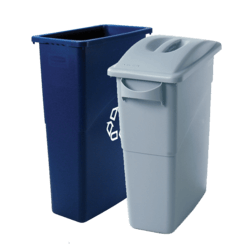 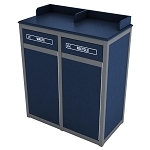 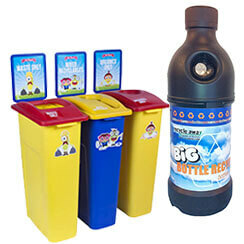 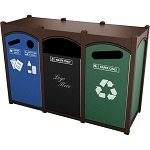 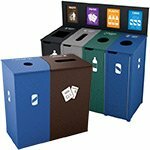 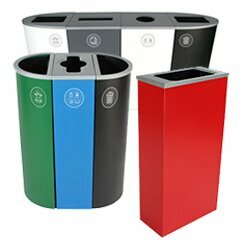 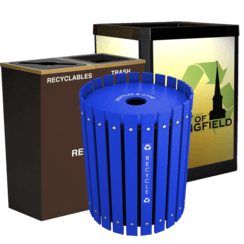 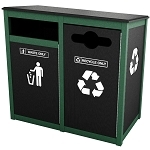 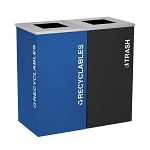 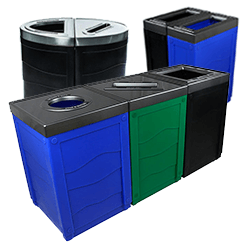 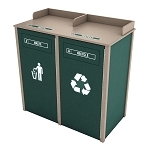 Our food service recycling containers are well designed and made of durable, high-quality materials for long-term usage. 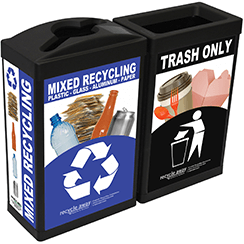 With clear crisp labeling to distinguish waste streams our products will help to prevent cross-contamination and meet the recycling goals of your food service facility. 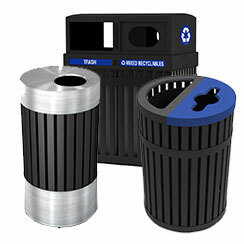 Call Recycle Away today at 1-800-664-5340 or select from one of our recycling containers online!